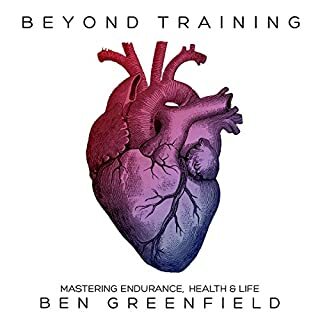 It seems the real endurance to be mastered is the will to make it through the long, tedious tome, with its increasingly frequent infomercials and call backs to reference materials on the author’s website. Despite the massive length of the document, little is discussed in depth. Instead the listener is exhorted to review the website for full details. The techniques themselves will offer little for more pedestrian, everyday athletes. To the extent they’re realistic/workable, the material is directed more towards peak performers and professionals. 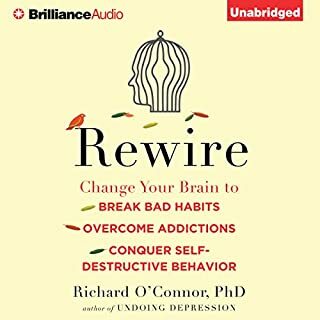 I've tried multiple times to give this book a fair listen. I generally wade through the tedious hagiography and the debunked new age foolishness and make my way to Chapter 3, where we're informed the reason you're unhappy is that you're just not giving off the right vibe. Literally. Angry? Your fault. Sick? Your fault. Poor? Your fault. It's classic blame the victim hatefulness which can only serve to make those suffering from real pain and suffering feel worse about their condition -- it's dangerous. 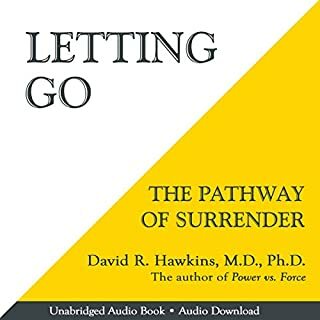 It's also worth noting that even if you're a believer in this foolishness, Dr. Hawkins could benefit from a rigorous copy editor. Vast swathes of the first several chapters are simply tedious, going on and on well after having established (or attempted to) a point. Well told action story of, possibly, the next major conflict. Characters are well developed and the story is fast-paced. What makes the book so compelling is the fact that all the technology described is real. It exists, and these are real risks we face today -- not merely the fanciful projections of an author. 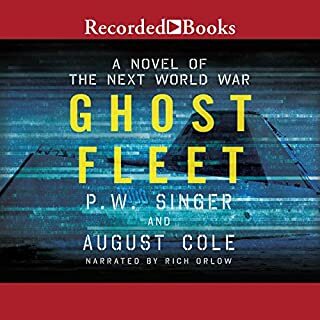 Singer is an excellent analyst of technology's role in war and crime, and the book doesn't disappoint in providing a fictionalized version of these facts. 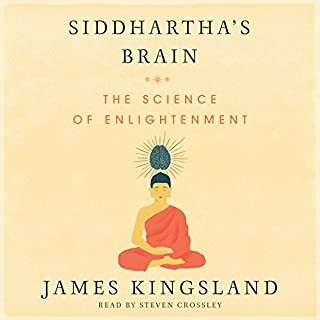 Framed by the historical journey and teachings of the Buddha, Siddhartha's Brain shows how meditative and Buddhist practices anticipated the findings of modern neuroscience. Moving from the evolutionary history of the brain to the disorders and neuroses associated with our technology-driven world, James Kingsland explains why the ancient practice of mindfulness has been so beneficial to and so important for human beings across time. 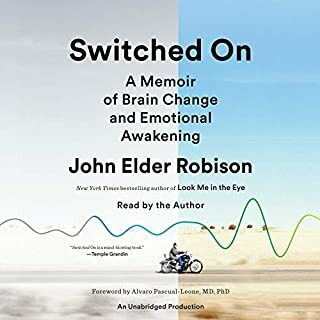 While the authors story is mostly positive, he describes a frightening future in which we manipulate children's brains to "cure" them of deficiency. As has been seen with the rampant dispensing of mostly useless pharmaceuticals, psychiatrists can't be trusted with such power. Not very interesting or useful rehash of material already covered more originally and interestingly by others. Read Daniel Kahneman or Jack Kornfield instead. 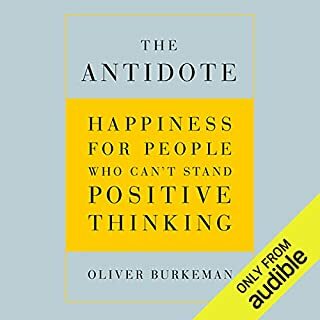 Oliver Burkeman delivers the rarest of commodities -- a self-help book that actually helps you feel better about life. Beginning with an examination of stoicism and aspects of buddhism, Burkeman proceeds to deliver often contrarian information and advice about how to deal with the inevitable setbacks and challenges life presents. 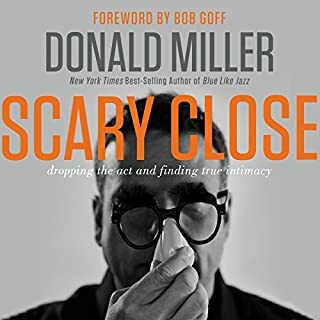 Unlike most such books, which are filled with simplistic, wishful thinking, he provides practical and pragmatic advice, backed with anecdotes and solid research data. I'm willing to allow the possibility that some life-altering truth might be contained in Mr. Taleb's latest. But I'll never get to it -- at 50 minutes in, I'm throwing in the towel. In a book such as this, within an hour one might hope for some concrete discussion of the author's thesis. 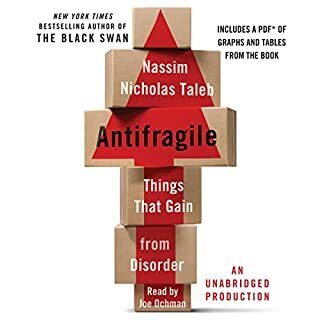 What we get here is little more than a screed, a polemic against academics, most of business, government -- actually, pretty much everybody except for Mr. Taleb. We're forced to endure a never-ending stream of straw man arguments and ad hominem attacks, delivered with a ceaseless contempt that is wearying -- and a bit disturbing. On this point, Mr. Ochman shines -- the author's contempt and anger are unflinchingly delivered. The thesis that emerges -- to the extent it is allowed to -- seems to be that complex systems behave in unpredictable ways, and that efforts to micromanage said systems will inevitably, over time, produce massive failures. Conversely, left to their own devices, unfettered by the hands of bureaucrats, such dynamic systems will prove successful. Oh, and fragile things tend to be, well, fragile. Who do I see about getting my credit back? In Robert Ludlum's ground-breaking career, no other character so captured the world's imagination as Jason Bourne. He appeared in three of Robert Ludlum's own best-selling novels, his best-selling works to this day. 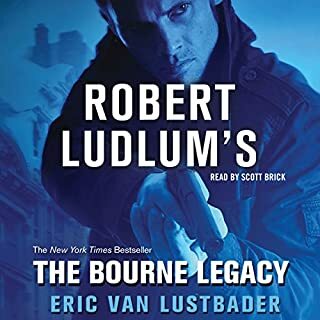 Now, with the major motion picture adaptation of Ludlum's The Bourne Supremacy, the Ludlum estate has finally acceded to the demands of readers around the world, turning to best-selling writer Eric Van Lustbader to create a brand new Jason Bourne novel, The Bourne Legacy. It sure reads like a Ludlum book! Scott Brick turns in a strong performance with his narration, working well with the limited material he is provided. The story itself leaves a lot to be desired - many events strain the limits of credulity, even for Jason Bourne. Not to give the ending away, but the situation the DCI finds himself in at the ending of the book seem to have come from his own fevered dreams. Perhaps the conclusion is meant as some sort of ham-fisted commentary on politics and the ability to effectively CYA. Unsatisfying.